What is an Electric Scooter? Who Maintains the Electric Scooters? What are the Benefits for Users? Electric scooters have suddenly invaded cities all over the world as it turns out that a lot of latent demand exists for a cheap and quick way to get around. Uber, the ride-hailing company, has teamed up with Lime to bring an unconventional form of transport to the world through its new scooter-for-hire app. Uber is investing in Lime as part of a $335 million funding round and is an indication that they are serious about diversifying beyond their original ride-hailing service. According to Rachel Holt, who is leading the scooter- and bike-rental efforts of Uber, they were drawn to Lime because of its already existing footprint in major cities around the world that is quite expansive. 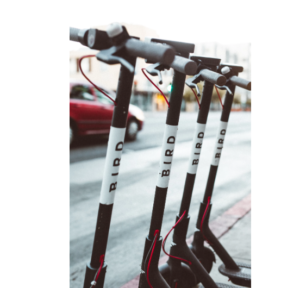 The company is excited about where the partnership could lead, however, it doesn’t preclude Uber from entering the scooter rental business on its own. Electric scooter- and bike-sharing services operated by Lime are dockless which makes it very convenient as these two-wheeled vehicles can be picked up and dropped off anywhere in a city. Neither company has mentioned when the Uber app will become available, but Lime (founded just 18 months ago) has already raised $467 million through its venture capital arm. According to Bloomberg, after the latest funding round the company was valued at $1.1 billion. The new funding will provide cash for the acquisition of more electric scooters from its Chinese suppliers. Uber executives have said that they plan to roll out e-bikes in more cities around the world. Scooters are scattered around major cities that customers can rent, leaving them on a sidewalk at the end of the journey for another person to pick up. Lime scooters are currently available in more than 70 markets all over Europe and the U.S. The cash from the rentals are used to buy tens of thousands of new electric scooters, manufactured to the company’s design specifications in China. The co-founder and executive of Lime, Brad Bao, say they are proud of their investment in custom vehicles as opposed to off-the-shelf models. Although there is a looming threat posed in the U.S by the trade war with China, the company does not expect it to impact their “capital heavy” business. Electric scooters are simple two-wheeled kick scooters with electric motors. The key innovation with this latest mode of public transport is the rental business model. Simply download the Uber app on a smartphone and use the app to find the nearest scooter. After entering your credit card details you will be provided with a barcode to scan that will unlock the scooter. When you have reached your destination, simply park the scooter on the sidewalk and end the ride on the app. The device is powered by electricity and uses gyroscopes to balance on two wheels. You steer intuitively with body movements that whisk you along silently at a safe 12 miles per hour. Behind every electric scooter parked on a sidewalk, there is a vast network of infrastructure the keeps them charged, maintained, and accessible. 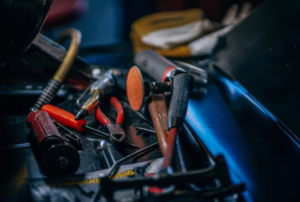 Engineers track exactly where each scooter is, support staff provides answers to questions on the phone, and technicians remove damaged scooters for repair or scrap. As the sun sets and power runs low, people called “chargers-for-hire” roam the city streets, picking up scooters and plugging them in at home to recharge. Early the following morning they are discreetly placed back on the sidewalks. Lime scooters are charged by juicers on a Lime Juicer Program and is a fun way for people to make extra money. Each juicer has an app that highlights when scooters need re-charging. The scooters are collected in the evening, charged, and re-deployed to specific locations indicated on the app. Lime leverages their data to indicate the best spots where people typically begin their commuting. While the deal with Uber will have a more immediate and visible impact on Lime, the parent company of Google, Alphabet is contributing the largest financial commitment to the startup both directly and through the GV fund. Alphabet has also invested in Uber but has sparred with the company in the courtroom over the search giant’s self-driving service Waymo that people can use to hail minivan rides in Arizona. Joe Kraus, Alphabet’s GV partner who has joined the Lime board says he is very excited about the scooter rental business as it reminds him tremendously about the early days of the internet. Rental scooters insulate the user from most of the cost of the device which ranges from $100 to $500 in the U.S. However, a rider can rent an electric scooter for a nominal amount of $1 and about 15 cents per minute. A two-mile ride taking ten minutes will cost less than $3. The best advantage is that it can be left anywhere without any concern about re-charging or security. While the hardware is basically a re-badged version of existing electric scooters, it is the software that turns it into a dockless ride. Most scooter companies use their own custom devices that are capable of handling the rigors of rental. In May Lime announced its partnership with Segway for the design of its next-generation scooter. Right now investors are hungry for investments in transportation startups which is partly responsible for the scooter boom. Billions of dollars are being poured into transportation companies – from self-driving cars to ride-hailing and electric cars and scooters. Until recently short trips between metro stops, apartments and workplaces or just leisurely rides across town have remained in a vacuum. Dockless bikes and electric scooters have rushed in to fill this void, securing millions and perhaps billions in financing while competing for market share. On the user side, a cadre of riders is primed to adopt scooters. The generation that whizzed around on Razor scooters is now commuting in urban streets as they are already familiar with balancing on two wheels. So a rental service with an app-enabled ride is an appealing throwback as well as an exciting flash-forward.